Today I'm going to share with you guys my experience with this Smashbox Lighting Theory Master Class Palette that I bought not long time ago (you can read my post about my Smashbox beauty purchase here). Smashbox calls this product a face palette to create an even complexion, add depth and dimension, and achieve eye looks for any occasion, since this palette has everything you need to create pro makeup looks with a perfectly lit glow. I like the fact that this Smashbox Lighting Theory Master Class Palette is free from Parabens, Phthalates, fragrance, Sodium laurel sulfate, and talc. Let me start from packaging: the case of this palette is solid and nicely made. One side has all creams __ color correctors, contouring creams, and highlighters, other side has powders __ eyeshadows and blushes. Both sides have their own transparent plastic cover so powders will not go to cream side and will not get messy. 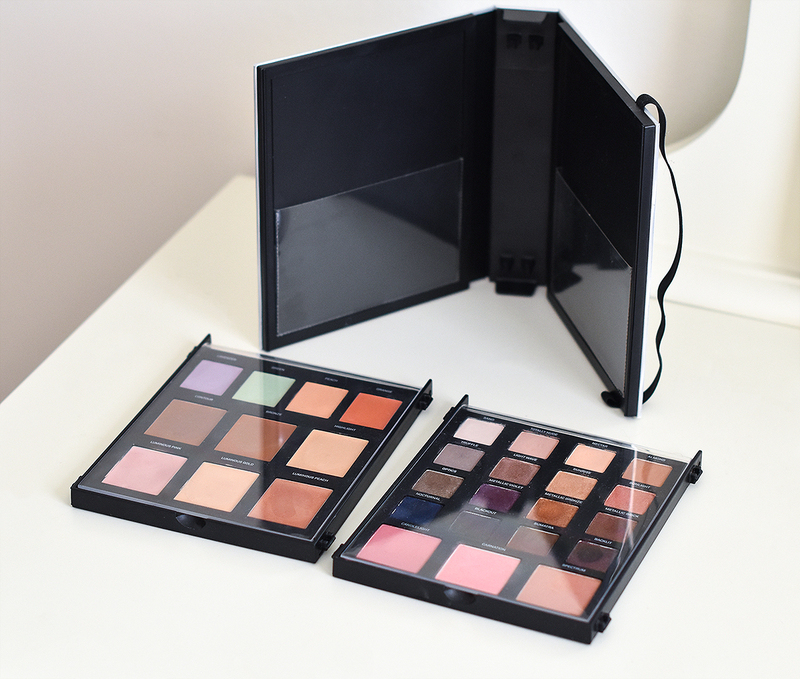 In case you find this palette bulky the way it comes, you can always take out each side from the case and use them seperatly. This Smashbox Lighting Theory Master Class palette comes with different makeup looks idea cards, which is nice. From color correctors, I basically use peach color corrector under my eyes that perfectly covers dark circles and most importantly, it helps my concealer not to oxidize and not look like grayish after few hours (I don't know about you, but my undereye concealers become kinda grey just in a few hours after applying it, if I don't apply color corrector first). Sometimes use Green corrector to cover redness. 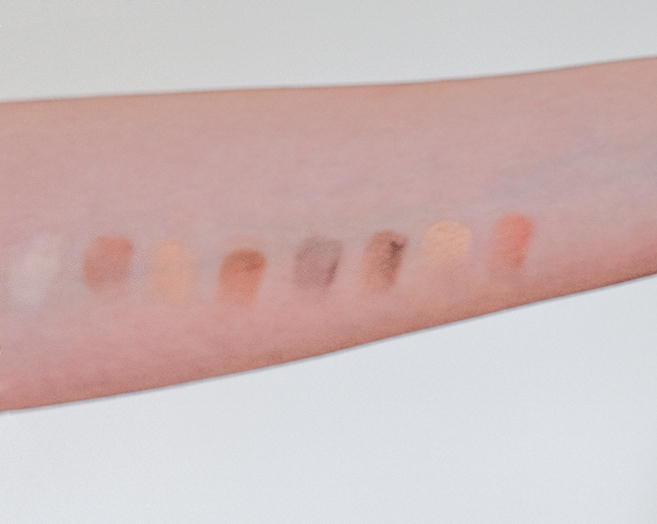 I haven't used contouring creams so I will just show you some swatches. My absolute favorites on cream side of this Smashbox palette, are the highlighters. I love Luminous Pink and Luminous Gold, I use them almost every day. 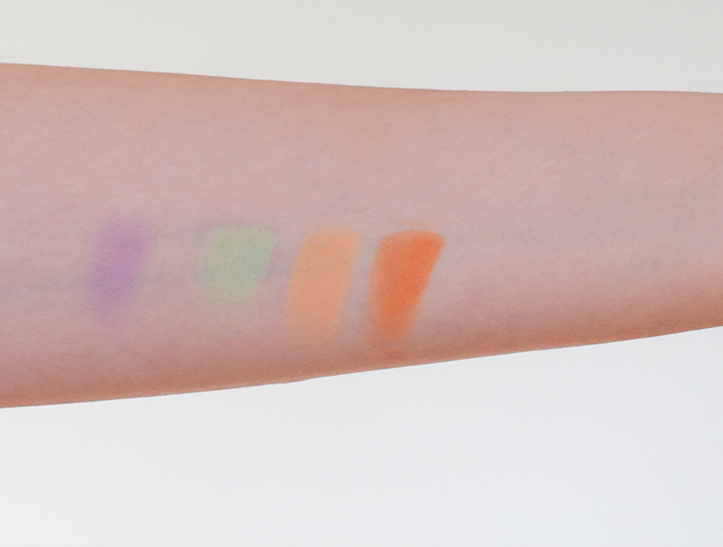 I like Luminous Peach one too but it's little too dark for my fair skin, but would be beautiful on little darker skin. P.S. Sorry for the pure quality of some of the pics below: It doesn't show very well highlighters here, but first is gorgeous rose golden shade and second is golden shade, bith are very beautiful. From left to right: Highlighters _ Luminous Pink, Luminous Gold, Luminous Peach. It's not first time that I tried Smashbox eyeshadows, I had Smashbox eyeshadow trio in travel size and I absolutely loved it, so I was thinking that I would like these eyeshadows too, and I like them indeed. They are very smooth and nicely pigmented. I use a few shades from first 3 raws every single day, I haven't used last raw though, they are more like for dramatic, night out looks. Staying power is at least 6-7 hours for me, when I apply my Lancome eyeshadow primer first. 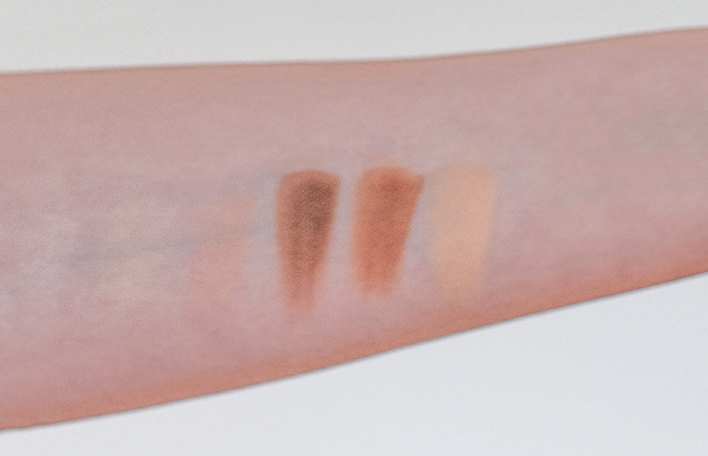 And , last but not least, blushes __ they are all gorgeous shades, but I mostly apply bright pink for everyday makeup. Overall, I like this palette, I enjoy wearing most of the highlighters , blushes and eyeshadows, so I'm glad I bought it. Thanks for reading beauties, and have a fabulous day. So much variety in this palette! It looks like a good one to have! I will pay attention from now on, for concealers to turn into grey after some hours... maybe mine do too, but I never paid attention, so I am a but worried now! I would like to try the eye shadows from this Smashbox Master Class palette and the highlighters, cause I am always looking for a good highlighter! Hope you have a very lovely day and week! This sounds like a great palette - I love that you get so many different products. I have never tried Smashbox before but will sure take a closer look. Yes, Valeria, a concealer can oxidize under eye area if you have dark circles under eyes. 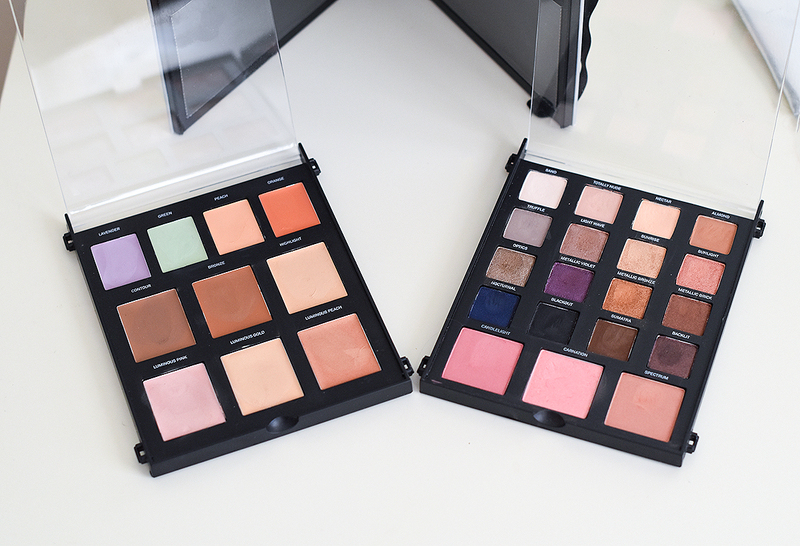 Love all of this in one palette! I'm a big fan of my ELF palettes but this looks amazing. This is a very nice palette. I love the magic hour look, perfect for dates and events too! oh my gosh i love all the colors here! Love the eye shadow palette! Such pretty colors! 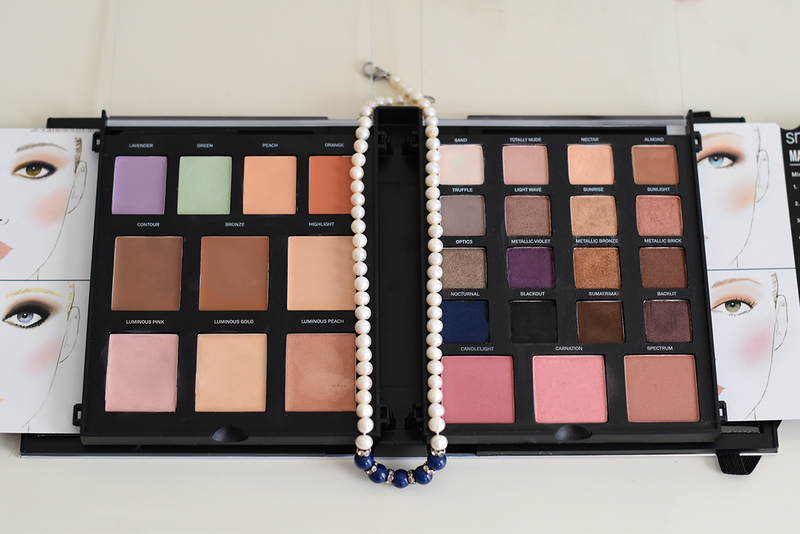 Looks like a great palette for someone who loves make up! Stunning colors and beautiful palette! 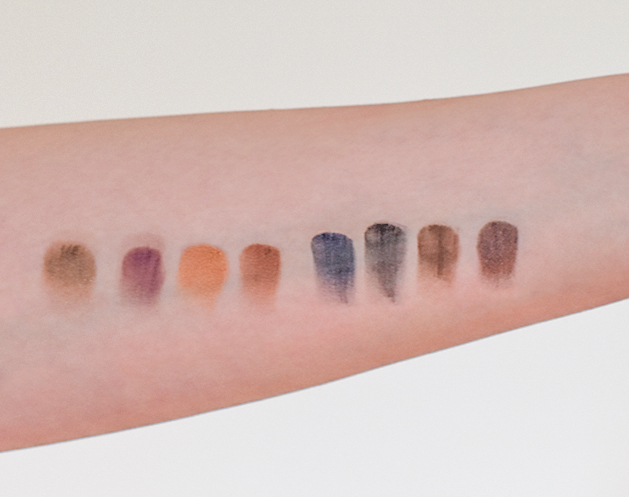 cool swatches Nina! This looks like an awesome palette! I'd love to try it! It's a beautiful palette, looks like every colour that I want is there. There are many amazing reviews for this palette so I'm not surprised that you like it too, Nina! This is just perfection, I would love to have this one on my hands one day! Beautiful shades! thanks for sharing! 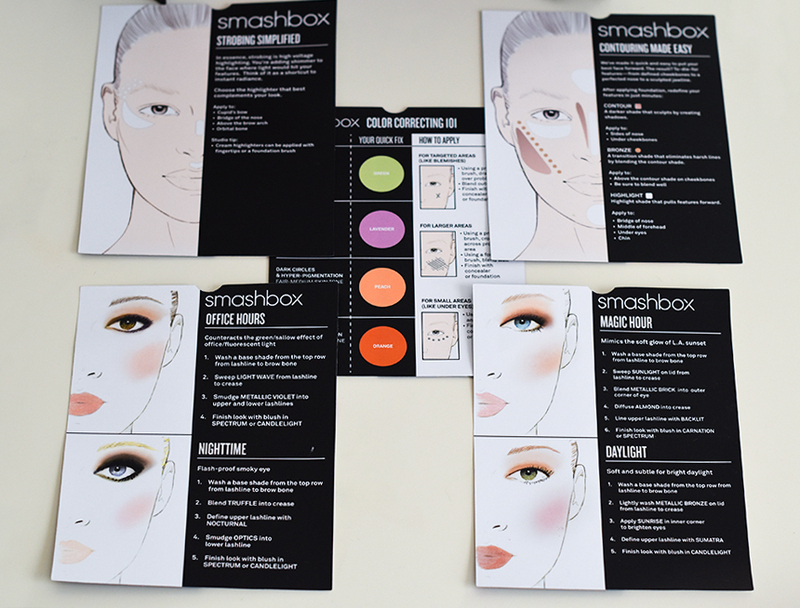 Smashbox is one of my fave makeup brands- their products are awesome! What an amazing palette! Love the new set up on your blog too. I've seen this palette once before, but never opened up and shown swatches, so it was great to see all the colors and pigmentation! It really seems like a great and convenient palette to own! Thanks for sharing, girlie, and I hope you're having a great day so far! Those are such beautiful shades. What a great and thorough review. I have one of the Smashbox contouring kits and it's helped me learn how to contour! It looks quite lovely!! Great review!! Great item! thanks for sharing it with us! That is neat that is has two separate sides. I haven't seen a palette like that. Thanks for sharing.